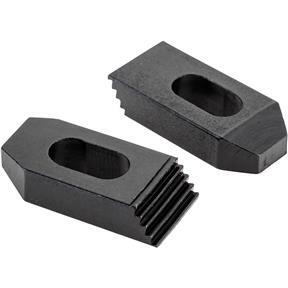 These heat treated steel step clamps with black oxide finish have teeth that are matched to fit any size step block. For 3/8" bolt size. Measures 2-1/2" long x 1" wide x 1/2" thick. Sold per pair.